Gordon Strong is President of the Beer Judge Certification Program (BJCP) and their only Grandmaster Level VII judge. Gordon is also a three-time Ninkasi award winner for “most wins” in US competition. He is the author of Brewing Better Beer, and has a new book arriving next month called Modern Homebrew Recipes (both Amazon affiliate links). Gordon joins me to discuss the new BJCP beer style guide just released by the BJCP. 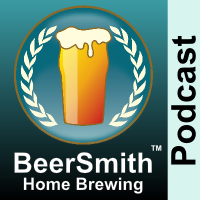 He explains what the Beer Judge Certification Program (BJCP) is and what the main mission is.